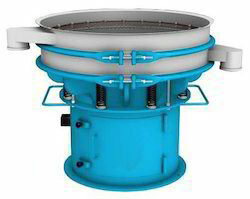 We are one of the well-known manufacturer, distributor and trader of Vibro Sifter. The offered vibro sifter is very useful and effective, for separating the fine and coarse particles in a mixture. Our offered vibro sifter is very sturdily fabricated, by utilizing the high-grade raw materials, sourced from very trusted and reliable vendors in the market.